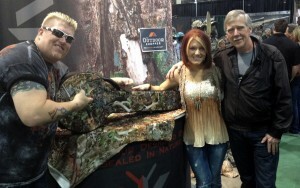 TKL Outdoors® produces gun cases for the outdoor enthusiast and personal protection minded individual. TKL Outdoors® has just introduced their Cloak & Dagger™ Mandolin Style CDPU1024/023 A-Mandolin Style Pink Universal pistol case. The Cloak & Dagger™ A-Mandolin style case is ingenuity and quality at its best with special attention to detail for women. SFWA (Shooting for Women Alliance – www.shootingfor women.com) has selected TKL Outdoors® as “Ladies Choice” for new products this year. The new line of TKL Outdoors Cloak & Dagger™ universal pistol cases are the overall size of a mandolin case – small and compact. The Cloak & Dagger™ A-Mandolin Cases are designed to provide secure Innovative 24/7 Protection® for your firearms. There is room for multiple concealable handguns (a couple of competition style pistols) and the accessories you want at hand including shooting glasses, cleaning kit, ear protection , extra magazines and more. There are a variety of exterior and interior color options. The CDPU1024/023 has a pink Dura-Hyde™ Exterior and a Midnight blue plush interior with Brass Hardware and White handle. TKL Outdoors® presented our newest Cloak & Dagger™ Rifle/ Shotgun case with the new KLOAK® Camo pattern to Ke vin Blake Weldon at Shot 2014. 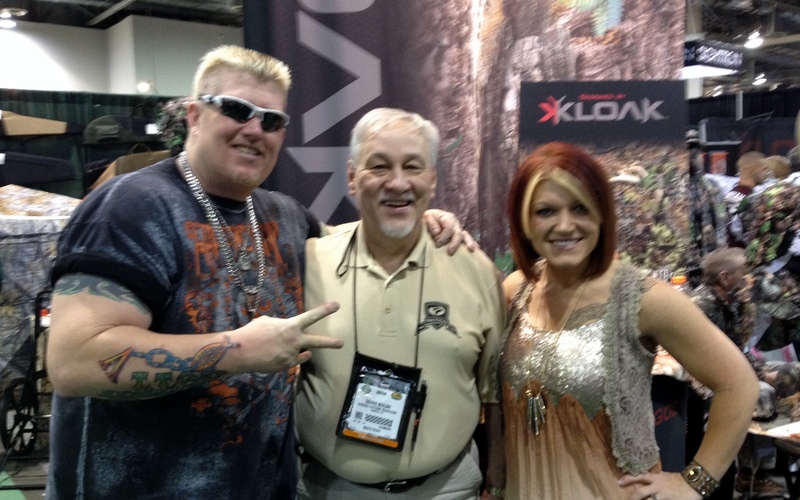 During Shot 2014 we had the opportunity of hangin’ with the Lizard Lick’s in our booth. 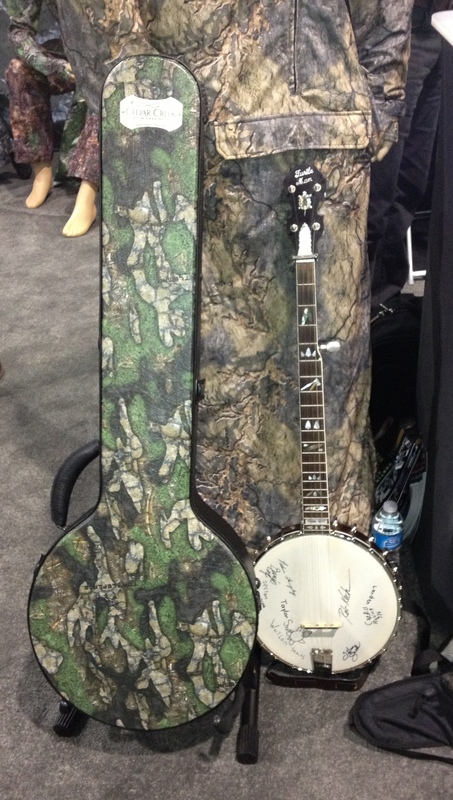 TKL Outdoors President Tom Dougherty presented the new KLOA camouflage pattern Banjo Case to the Lizard Licks Ron and Amy Shirley at the 2014 Shot. TKL Outdoors® in keeping with our original line of Concealment weapons transport and storage cases is proud to announce the Chopper® Series of Cloak & Dagger™ Universal Concealment Bags. 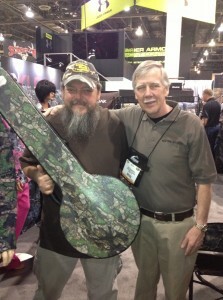 Each bag is designed to hold a rifle and/or shotgun in a “Guitar” bag Silhouette™. Each Chopper®, Cloak & Dagger™ series bags will hold any rifle and/or shotgun up to 43″ in length. Each bag has an external zipper compartment for gear. The Chopper® series bags are available in Simulated and Real Leather material and are available only from TKL Outdoors®. When Your First Shot Counts…™ count on TKL Outdoors®. Oilville, VA, October 1, 2014. TKL Outdoors® announces Joella Bates, the first woman to take the BIG 5 with a compound bow, as the new marketing Spokesperson for TKL Outdoors®. TKL Outdoors®, the nation’s premier manufacturer of weapons transport and storage cases, is launching an integrated marketing effort this fall, with celebrated bow and gun enthusiast Joella Bates. TKL Outdoors® spokesperson and acclaimed bow and gun enthusiast Joella Bates will promote TKL Outdoors® Product at trade exhibitions, in broadcast and print campaigns. The new marketing campaign will launch this fall. Joella Bates is first woman to arrow Africa’s “Big 5″. During her month-long safari, Joella arrowed each of the Big 5, which consists of a Lion, Elephant, Cape Buffalo, White Rhinoceros and Leopard. Joella will be the face of TKLOudoors® new print campaign, which showcases the TKLOutdoors® message of When Your First Shot Counts…™, Innovative 24/7 Protection® products. The ads will run across a wide variety of outdoors publications. In addition, Joella Bates will promote a series of Firearms and Bow Safety sessions with children of all ages with TKL Outdoors® to promote the safe use of a bow and firearm. “We are going to be aggressively marketing the TKL Outdoors® brand of product, moving forward with a campaign that demonstrates TKL’s superior product reliability and service,” said Dennis Behling, TKL Outdoors® Director of Marketing. “There is an indelible bond created between TKL Outdoors® products and their owners, because TKLOutdoors® is known for Quality and Reliability, whether traveling across the state or around the world. When Your First Shot Counts…™, Consumers rely on TKL Outdoors® product. TKL Outdoors® customers can be confident they made the best choice for the transport and storage of their weapons and gear. About TKL Outdoors®. TKL Outdoors® Inc. is a leading global manufacturer of weapons cases, gear and accessories. TKL’s Innovative 24/7 Protection™ design offers a complete selection of industry-leading cases, gear and accessories for the Outdoors enthusiast, Law Enforcement or Military professionals. The combination of superior engineering and design makes TKL Outdoors® products, the first choice among Outdoors Enthusiasts. Based in Oilville, VA ., TKL Outdoors®is a Veteran-Owned company and since 1984 a leading US manufacturer of the highest quality weapon transport and storage cases, Outdoors and Tactical Gear, accessories and clothing. www.tkloutdoors.com. 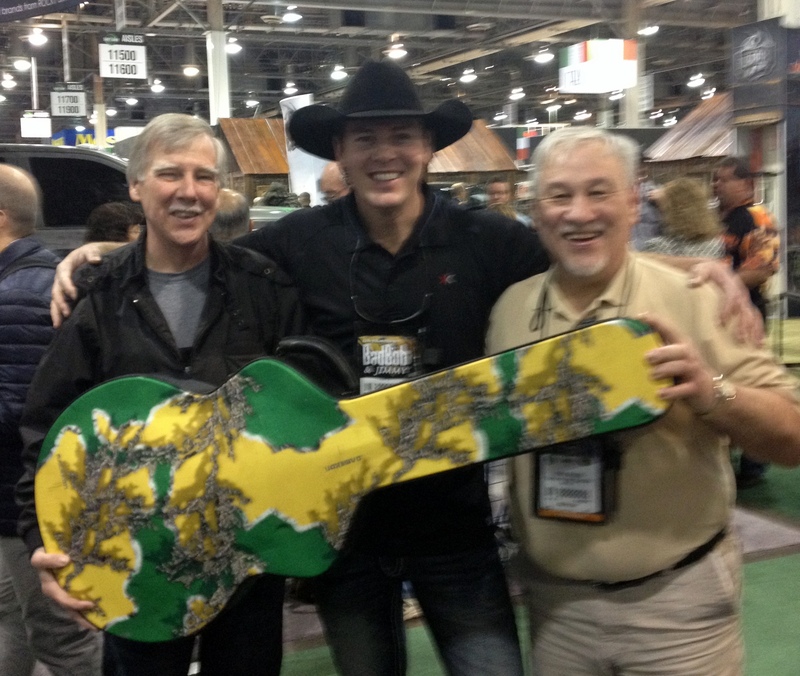 Tom Dougherty, President of TKL Outdoors® presents a Cedar Creek® Custom Camouflage Banjo case to Neal James – the Turtleman’s right hand man during Shot 2013. TKL Outdoors® specializes in Weapons transport and storage cases, accessories and Tactical Gear is a division of TKL® with headquarters in Oilville, VA.
TKL Outdoors® is a Veteran-Owned company and since 1984 a leading manufacturer of the highest quality weapons transport and storage cases and accessories for Outdoors, Tactical and Military personnel. Police & Security Expo 6/24 – 6/25 Atlantic City, NJ. Oilville, Virginia – TKL Outdoors® launched their new Website that dynamically showcases the complete lineup of TKL Outdoors® Firearms, Transport & Storage Cases, Sporting and Tactical gear and TKL Tactical® clothing and accessories. This is a complete revision of our site and visitors are sure to appreciate the level of comprehensive information provided for every product. The new TKLOutdoors.com site is populated with extensive information to assist the user in identifying and selecting the exact case for any type of rifle, shotgun or handgun. In addition our new site will include our TKL Outdoors® and TKL Tactical® line of clothing, shooting accessories and gear. There will also be useful product information videos and complete specifications on every product with our informative information center. 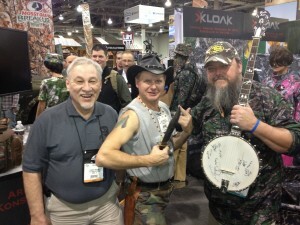 All official information on new and innovative products will appear first at the TKL Outdoors® site. The TKL Outdoors®site will grow rapidly in the weeks after introduction, with FAQs, instructional videos and other new features. Complete information on TKL Outdoors® products is always available by phone at (804) 749-8300 or at information@tkloutdoors.com. Detailed product information is available by request. Oilville, Virginia – TKL Outdoors® announces the launching of their all-new TKLOutdoors TRAKR™ System, the World’s First GPS and GSM enabled Asset Tracking and Locating System (ATLS) for use in all TKL Outdoors® weapons cases. The TKLOutdoors TRAKR™ System is available exclusively through TKL Outdoors® for all TKL Outdoors® or TKL Tactical® Weapons, Cases or Gear. The TKL Outdoors TRAKR™ System allows any user to keep an eye on any asset you need to Trackr®. The TKLOutdoors TRAKR® System allows any user to create a secure, geo-fence zone for your weapons and receive alerts upon exit, entry or both within the established zone. The TKLOutdoorsTRAKR™ sends alerts via email, SMS and push notifications to iOS® and Android® devices. With the TKLOutdoorsTRAKR™ System you can customize battery settings when transporting or storing your weapons in your TKL Outdoors® weapons cases. Complete information on the TKL Outdoors® TKLOutdoorsTRAKR™ System and all TKL Outdoors® Products is available by contacting us at information@tkloutdoors.com, or at our website www.tkloutdoors.com, or by phone at (804) 749-8300. TKL Outdoors® is a Veteran-Owned company and since 1984 a leading manufacturer of the highest quality firearms cases and accessories for Outdoors, Tactical and Military personnel.